It’s common these days for sports gambling sites and online casinos to tout themselves as being ‘unique’ in some way or another. 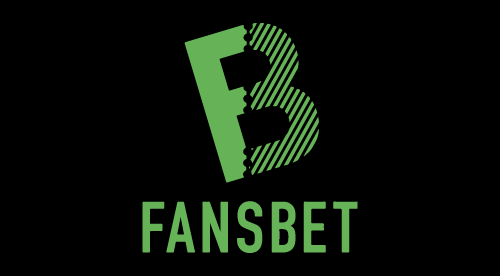 When it comes to being a true one-of-a-kind however, FansBet is the real deal. Why? Because this online casino and sportsbook was set up by football fans who – wait for it – give half their profits away to footy fans. That’s right, FansBet is the only platform currently operating within the online gaming industry that runs a loyalty initiative that pays 50% of all its net profits to fully accredited supporter organisations. This means that, regardless of whether or not you as a punter win at the online casino or sportsbook, the footy support base you identify with could well benefit from a financial boost at the level where it’s needed most – grassroots fandom. But how good is the actual platform, we hear you ask. Read on to find out. As you might expect, sports betting is king at FansBet, with football unsurprisingly getting the lion’s share of page space. The site as a whole is stylishly subdued, sleek yet unremarkable with all info displayed in a neat, unfussy way. Navigation, either within the sports betting pages or across to the casino, live casino, and in-play sections, is straightforward enough thanks to the permanent header tabs at the top of the page. Finding relevant markets and games is also stress-free as the convenient categories sub-menu at the left-hand side enables you to swiftly filter your choices with ease. There’s also a handy Bet Search function that allows you to type in the name of the team or event you’re after and be taken to the relevant page straight away. The helpful ‘How to…’ links located at the bottom of the page are also worthy of a mention, with the ‘Tips and tricks’ link being particularly insightful. Away from the vast array of domestic, foreign and international football betting markets, you’ll find sports books available on more than 30 sports, including horse racing, tennis, golf, and greyhounds. There’s also a good selection of highly enjoyable fantasy games on hand, with the potentially lucrative Premier League offering being the pick of the bunch. FansBet also delivers the goods on the casino side of things too, with more than 260 slots, table games, and jackpots, including everything from ever-popular faves like Gonzo's Quest and Starburst, to French Single Zero Roulette, Golden Goal, and Live Blackjack. In fact, when you add it all up, FansBet has close to 900 games and markets on its books – no mean feat when you consider it’s also an altruistic enterprise.